I love this Holiday Slayage look that Queen Bey is Rocking. 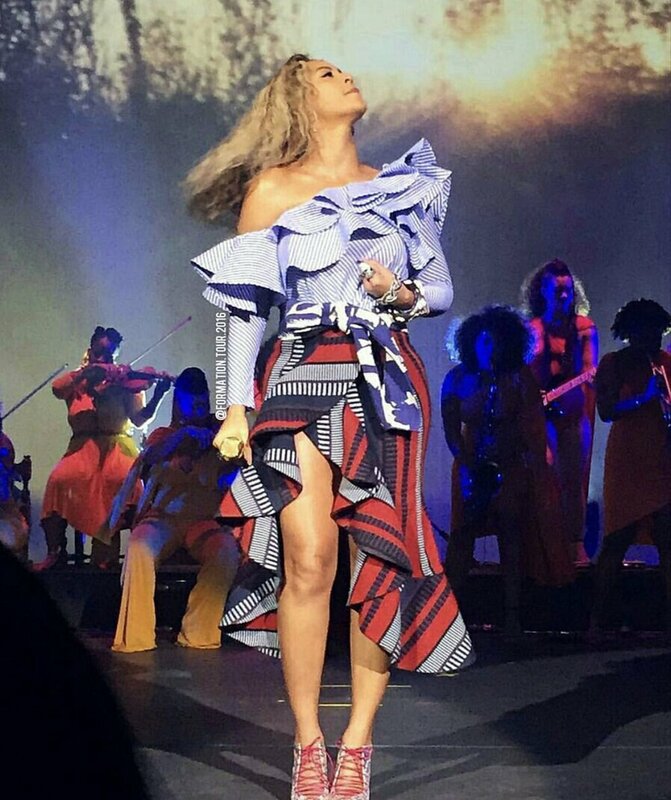 She hit the stage in an asymmetrical ruffled Johanna Ortiz top ($795) and plaid wrap skirt ($995), teamed with a pair of slick Malone Souliers pumps. The Malone Souliers “Montana” heels nod the ‘50s, but with a punk twist — featuring a storm-blue leather and elaphe upper, cutout sides and a lace-up profile. The design incorporates metallic and jewel tone droplets, and a 4-inch heel. They’re available for $925 on Net-a-porter.com.